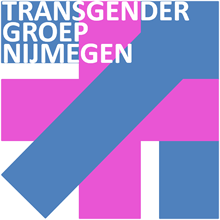 The Transgender Group Nijmegen is a fun and diverse Group of transgenders, transmen, transwomen, transvestites, genderqueers and anyone who feels connected to the transgender community. We’ve been meeting each other and working on transgender visibility with COC Regio Nijmegen since February 2007. We organize monthly meetings and frequent lectures, workshops, movie nights and other social activities. No matter what kind of transgender you are, meeting people with similar experiences is important to many and it’s just fun. That is why every second Thursday of the month we have a café night at café ThomTom, Van Welderenstraat 65 in Nijmegen, and every 4th Friday of the month we have a café night café Marcus Antonius at the St. Antoniusstraat 15, Nijmegen. Interested? Just drop by. Our doors are open to all: transgender people, trans men, trans women, non-binary people, queers, crossdressers, people on journeys of self-exploration, partners, family, friends, ect. How you dress and whether you identify with any label doesn’t matter. Are you nervous about visiting or do you have questions? Fill in our contact form or contact us at info@transgendernijmegen.nl and one of us will answer your questions, introduce you to the group and ensure that you do not have to take your first steps on your own. We organize many other activities like our Beyond the Binary day. We try to expand our English information on these activities but not all activities have English descriptions at this time. Feel free to contact us if you have questions.